Green cleaning combines the use of facility cleaning products and practices developed to improve occupant health and performance while minimizing the impact on the environment. As a janitorial and commercial cleaning company we are committed to limiting our impression on the environment. We couple our exclusive ServiceMaster Clean® Capture and Removal Cleaning System® , Green For® cleaning products, innovative equipment and new ergonomic cleaning techniques. The result is a facility that is not only clean, but healthier for your customers and employees. Our exclusive Green For® cleaning products are plant-based, detergent-free, using only ingredients that are actually listed by the Food & Drug Administration as safe for consumption. As a result, they have been certified by Envirodesic, Green Seal, and European Ecolabel. No other green cleaning products have this kind of universal endorsement. 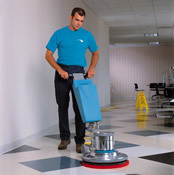 Most existing cleaning techniques remove only part of the dust and soil from your facility. ServiceMaster uses a highly efficient Capture and Removal Cleaning® system that removes the soil from your facility. Micro fiber towels, HEPA filtration vacuums, Sidewinder vacuum wands and patented “dust wands” actually capture the soil, so that it can be removed from the facility. Our innovative janitorial cleaning system will, over time, lower the levels of allergens and particulate matter in the air – in some cases by as much as 50%. That means a cleaner facility and healthier, more productive people. Switching to green cleaning is as easy as making a phone call, and the actual changes in cleaning methods and products will be integrated seamlessly into your existing maintenance plan.